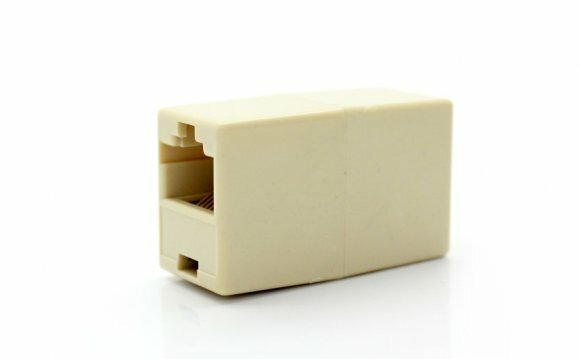 INC runs cable (typically UTP Cat5e) from the Minimum Point of Entry (MPOE) or Telco Closet to an equipment room or the Main Distribution Frame (MDF). Cable runs are neatly arranged and concealed as much as possible with mounting hardware provided by INC. Cables are tested and neatly labeled. Once INC has extended the demarc to a wiring closet, your IT department can take over for the rest of the network. INC can take a demarc extension a step further and install a distribution system for a network. It is often necessary to create structured-cabling solutions for larger networks. Our technicians can connect the Main Distribution Frame (MDF) to Intermediate Data Frames (IDF) using either 4-pair, 25-pair, 50-pair, 100-pair, 200-pair, or fiber optic cable. INC can design both a horizontal distribution system (to connect the IDF to individual workstations) or a backbone distribution system that utilizes multiple vertical distributions, such as a in a high-rise building or a particularly long hall. When a customer purchases a new dedicated-circuit T1 line, the vendor will provide a start date on which the circuit goes live. Test signals are then sent to ensure proper communication. INC has extensive experience in working with telephone companies from the client’s side in order to make sure your new circuit is working properly. For certain applications, a client may need the installation of a router configured to receive data from a certain source. INC can readily incorporate the installation of such a router with a demarc extension. Demarc extensions can seem complicated or even intimidating. Our expertise can help make this process as simple as possible. If you have any questions give us a call at 888-519-9525 or request a quote below and we will be in touch with you within one business day. What types of circuits need extensions? If you are ordering analog telephone(POTS), T1 or DSL services, you may need need an extension. When ordering your services, talk to your service provider and ask them where they will be installing their services and if you will need to extend it. How long does it usually take to perform the demarcation point extension? After your services have been installed, the inside wiring portion of extending the demarc and connecting to your local network should be completed in a single day. How much does a demarc extension cost? Our nationwide installation rate starts at $299. The advantage of using our nationwide low rate, is that you can have an accurate price for an installation in any market. It helps you properly align your budget for our installation services. For an exact quote on your project, please contact us. The demarcation point is the electrical spot where your service providers cabling meets your on-premises wiring. The spot dictates who is responsible for installation or maintenance of the cabling or hardware. For example if the problem happens downstream from the demarc, then it is the responsibility of inside wiring to fix the problem. If it happens upstream, it is the service providers problem. What is the MPOE or minimum point of entry? The MPOE is the physical spot where the service providers delivers their services in a building. It can be at the telco closet, but doesn’t always have to be at the telco closet. Where can I find the demarcation point? The demarcation point maybe inside in a shared telco closet (MDF) or it maybe on the outside of the building in a weatherproof box. You must locate the network interface device (NID) or smartjack. The smartjack is an advanced version of a NID known as an intelligent network interface device and provides diagnostic insight to the service provider. There is varied terms and phrases for a demarc extension those include DMARC extension, T1 extension, circuit extension, inside wiring, on-premises wiring, CPE cabling and more.